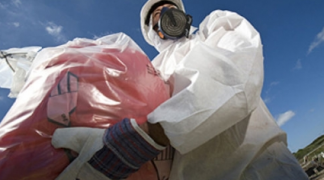 From preparing method statements/plan of works to submitting ASB5 notifications, dealing with the HSE and carrying out the removal works JCMES offer the full asbestos removal package. Following on from a successful probationary period JCMES acquired a full 3 year removal licence starting from 12th August 2010. We have a proven track record within these sectors of delivery cost effective asbestos removal, within strict timescales and sensitive working conditions. JCMES staff are trained Asbestos Removal Operatives, Supervisors or Managers and in some cases all three. 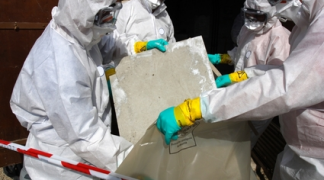 From our experience in licnesed asbestos remvoval we are more than capable of carrying removal of non-licensable products such as cement, vinyl and bakelite products. Please note although some products are classed as non-licensable works must still be carried out by suitably trained and qualified staff.